Judge Luann Cooperrider was born and raised in Perry County, Ohio. She is the only daughter in a family of eight children. She is a graduate of Sheridan High School in Thornville, Ohio. She attended Ohio State University where she received her Bachelor of Arts degree. She then attended law school at Capital University where she earned her Juris Doctorate and also did graduate work at Loyola University in Rome, Italy. Upon passing the bar exam, she began her legal career in private practice in Thornville in 1983 and continued there until 1991. She taught business law classes at Central Ohio Technical College from 1985 to 1988. In 1986, she became the first female lawyer to be an assistant prosecutor in Perry County and continued at that position until 1990. On February 12, 1991, she took office as the Perry County Probate-Juvenile judge, the first female judge in Perry County. She also has been a professor of various law courses at Hocking College, Perry County Campus, New Lexington, since 1991. 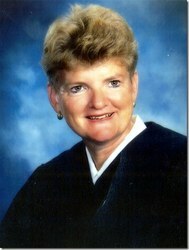 Throughout her career Judge Cooperrider has received many honors and awards. She was chosen by her peers to be President of the Ohio Association of Juvenile Judges. She was the recipient of the Ohio State Bar Association Women in Law Award for the state of Ohio. She was the recipient of the Ohio Education Service Center Award for Enhancing Education to the Youth of Perry County. She was the president of the Ohio Juvenile Court Judges Board of Trustees. In 2004, she was awarded the Grand Master’s Community Service Award from the Freemasons. She also has been selected to be an Ohio Mock Trial judge. In 2006, she was inducted into the Sheridan High School Academic Hall of Fame. In 2008, Judge Luann Cooperrider was instrumental in starting a free legal clinic in Perry County with Judge Dean Wilson of the Perry County Court. In 2012, Judge Cooperrider and Judge Wilson were honored by The Ohio State Bar Foundation with an Outstanding Organization Award. In 2013, Ohio Justice Alliance for Community Corrections honored Judge Cooperrider with the C.J. McLin award. In 2014, the Perry County Board of DD recognized Judge Cooperrider and her staff by presenting her with the Inspire By Example award.